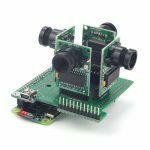 ArduCAM series camera shield is a universal camera control board for Arduino. 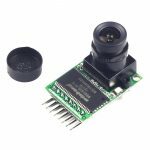 It hides the complex nature of the camera and provides the plug and play camera control interface as well as the ready to use software source code library and demo code. 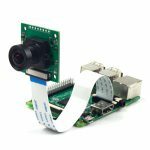 User can make it works in minutes without writing a line of code. 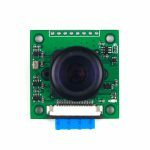 The ArduCAM supports variety camera modules from 0.3MP to 5MP with different format like RAW, RGB, YUV, JPEG and can be well mated with standard Arduino boards. 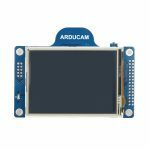 ArduCAM Shield V2 and ArduCAM-Mini-5MP-Plus are the second generation of ArduCAM products, they offers the improved performance and enhanced functions than the previous revisions. 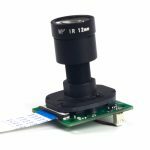 They not only can capture decent 5MP JPEG images, but also can do 5MP full resolution RAW image capture, which makes it to be the ideal solution for IoT and scientific image processing applications. 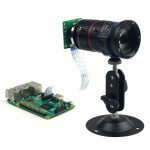 Even more they can record short movie clips as well. 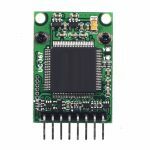 The ArduCAM is straightforward enough that it can be easily used with an Arduino, however this simple interface means that the ArduCAM is equally easily integrated with other single board computers such as the Raspberry Pi and the Beaglebone black. 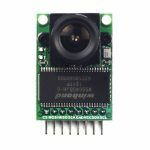 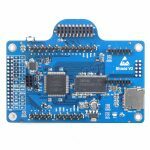 It isn’t just a camera for the Arduino, it’s a camera that because it can be easily interfaced to an Arduino, can be easily interfaced to any single board computer, either directly, or through an Arduino if needed for a larger system without exposed SPI/I2C busses. 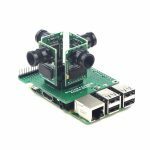 In short, the ArduCAM brings a plug and play solution to digital cameras at the hardware level.